Summer is still around and the offerings at the markets still bear the bright beautiful colors of the season. This easy recipe for picked bell peppers is meant to heighten the sweetness of the peppers which can then be added to salads or put on burgers, hot dogs, sausages, or sandwiches. This is not a canning recipe. These pickles are meant to be prepared and eaten immediately or stored in the refrigerator for a few weeks. Use a nice pickling or sea salt. Kosher salt can be used, too, but make sure the salt is pure and has no additives such as iodine which can change the appearance and flavor of the pickles. Add the vinegar, sugar, and salt to a sauce pot and place on medium heat. Stir, using a wooden spoon to dissolve the sugar. Bring the mixture to a boil and then remove from heat. Let cool completely. 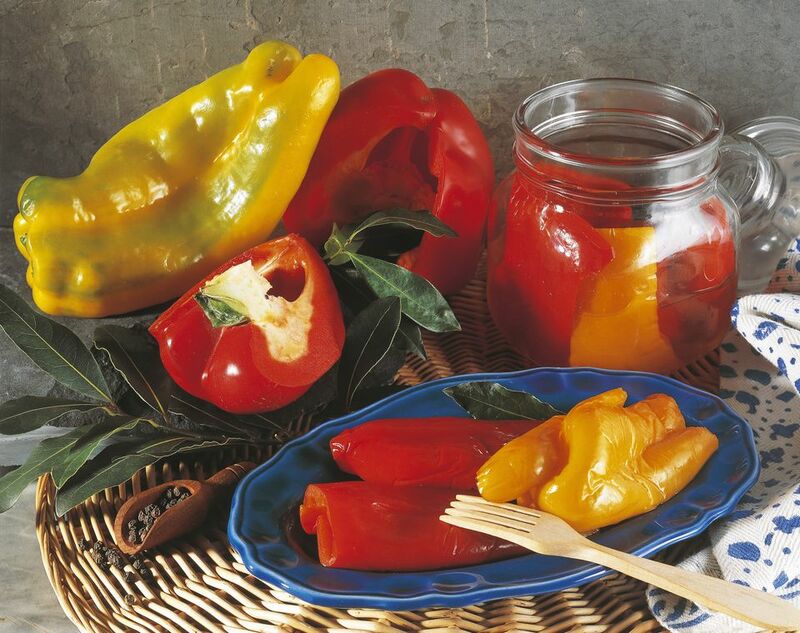 Cut peppers in half and remove the seeds and stem. Slice the peppers length-ways into 1/4-inch strips. Add sliced peppers to a bowl and pour 1/3 cup of the dressing and toss thoroughly to coat the peppers with the pickling liquid. Set aside for half an hour before serving. Toss intermittently. Store pickles in a glass jar with a tight-fitting lid in the refrigerator. Make sure the peppers are covered with the pickling liquid. They should keep for a couple weeks.